Los Angeles is home to a diverse group of neighbourhoods with many of them in a state of flux but you can usually find a local cafe at the heart of it trying to create a bridge between long time residents and newcomers. Coffee wise you will find a lot of roasters that you can find being served around Vancouver, but it's interesting to see the Southern California weather reflected in the drinks and spaces. And along with the independent cafes you an find the big guys well represented with Blue Bottle, Intelligentsia, Stumptown and Verve which boast some of the nicest designed spaces in the city. While not a "best of" list these cafes are probably excellent starting points for a coffee crawl or exploring a new corner of the city. Bar Nine is a forward thinking roaster and cafe that set up shop in Culver City using solar power and limiting their use of paper cups by serving to-go drinks in major jars. And this January they made the switch to a no tip policy in the cafe to give their baristas a higher living wage. Bar Nine's space is also home to one of the more photogenic Modbar setups cleanly mounted on a natural wood countertop. The Bar Nine's huge warehouse space is also regularly opened up the community with food trucks, cuppings and other events. Blacktop Coffee marked the return of Tyler Wells to the LA coffee scene after working as a general manager at Intelligentsia and then later asco-founder of Handsome Coffee Roasters. A small coffee bar in the Arts District they have a straight forward mission at Blacktop to bring good coffee to the neighbourhood. The 240-square feet coffee bar has no seating inside but like most LA cafes they make great use of their outdoor space with patio seating. 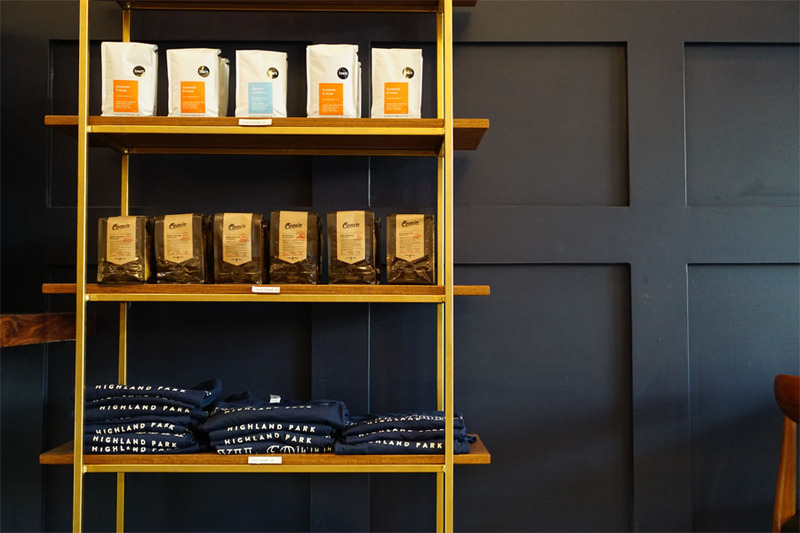 The original Handsome roastery was located nearby which is now home to Blue Bottle which purchased the company in 2014. 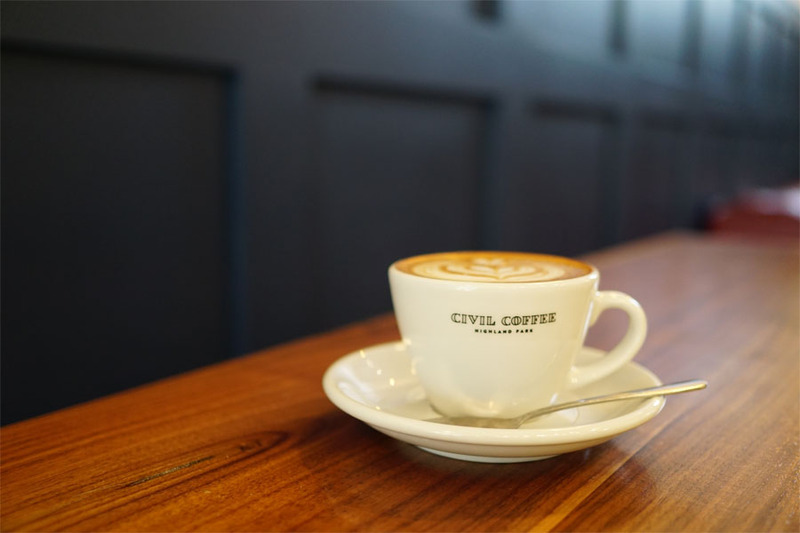 After working at Handsome Coffee and later a popup coffee iteration of Civil Coffee the Morales brothers have taken the huge step of opening their own cafe. Located inside an old heritage storefront in Highland Park they've created a stunning space for the neighbourhood fitted with Mexican tile and stone marble with no detail overlooked in the design from the branding to the furniture. Nearby: Look for Verve to open a new cafe in Highland Park soon. Over in Echo Park and Silver Lake you can find Andante Coffee, Blue Bottle, Dinosaur Coffee and Intelligentsia Coffee. The product of Charles Babinski and Kyle Glanville you can find the G&B Coffee in Downtown Los Angeles while their second cafe sits over in the more secluded Larchmont Park. While you'll find similar coffee menus at both cafes (with a larger food program at go get em tiger) both are worth visiting. The recently remodeled G&B bar inside the Grand Central Market brings an order anywhere bar service model. Just standing in line to order a drink at and seeing Christopher Abel Alameda talking with customers it quickly became apparent this visit to Menotti's Coffee Stop would be one of the highlights of my trip. From the name Menotti's which pays homage to the old owner of the building built in 1915 with a bar and later a speakeasy in the basement. You can also drop by every Tuesday and Thursday at 4PM for a public cupping at the cafe. Located in another changing neighbourhood of Los Angeles you will find Paramount Coffee Project which brings the best of Sydney cafes to the city with good food paired along with coffee offerings from around the world. The interior of the cafe is amazing mixing green square tiles with precast concrete blocks while the back of the cafe opens up onto a stylish patio. Founded by the people behind cafes/roasters Reuben Hills and Seven Seeds Coffee in Australia they have a welcoming space that got started with the Paramount Coffee Project cafe in Sydney which is a reference to their space in the old Paramount Pictures headquarters.